We all know that smoking is an extremely unhealthy habit. Still, one’s will to quit smoking is usually not strong enough. There are many side-effects of smoking, but they are usually not enough to stop one’s smoking habit. Although these side-effects may not be enough to describe the dangerous consequences of smoking, they may be considered as a warning sign for those who smoke extremely. Smoking affects almost every system in the human body. It affects the circulatory system, cardiovascular system, digestive system, reproductive system, etc. Smoking increases deposits of cholesterol in the main blood vessels, and also, decreases plasticity of the arteries. This leads to narrowing of the arteries. Disease caused by decreased plasticity of the blood vessels and cholesterol deposits is known as atherosclerosis, and it causes formation of blood clots. Cigarette smoking can also cause the thrombosis, and consequently, heart attacks. If blood clot forms in the cerebral vessels, a person could experience a stroke and as a consequence, paralysis. Lung cancer probability increases with the number of years one have been smoking and number of cigarettes one smokes per day. Lung cancer is the most dangerous consequence of constant smoking. 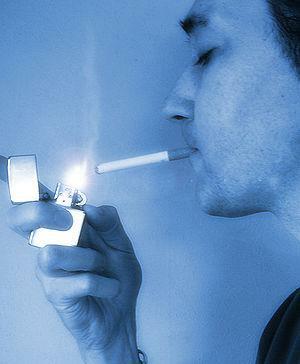 Active smokers can also develop mouth cancer. Mouth cancer usually affects the area under the tongue or on the lips and the treatment of this form of cancer can be extremely hard. Colon cancer is also some usual type of cancer that affects smokers. Furthermore, it is not rare for smokers to get bladder cancer, throat cancer, pancreas cancer, etc. There are various “minor“ effects of cigarette smoking. Those are: worsening of asthma for people suffering from this disease; constant cough, since the lungs are irritated by cigarette smoke constantly; people who smoke are more prone to infertility problems than those who do not smoke; dry mouth and the lack of appetite. People who smoke tend to have wrinkled gray/yellow skin, pale look, hair problems and yellow teeth and fingers. Smoking also makes it harder for you to practice any sports or physical activity. This is because a hard physical effort can result in coughing and shortness of breath in smokers. Teenagers which smoke usually do not develop properly. Smokers are commonly affected by lethargy and lack of energy. This happens because years of smoking break our body, and though we are not aware of that when we are young, this can have a serious impact when we get older.